Wilbur Meadows welcomes quads (4 wheel and 2 wheel drive), drift carts and trucks, dirt bikes, and pit bikes. 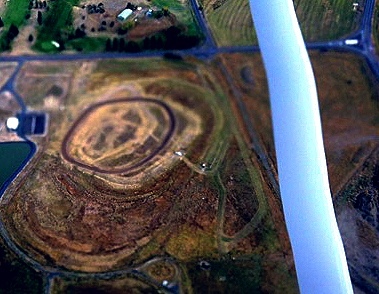 ORV track includes; motocross, dirt banked oval, dirt and grass flat track, and a slow speed obstacle course. The ORV Park is open every day from morning until dark, about 9:00 am to 7:00 pm. The graveled entrance is off Hwy 174, directly west of the Golf Course. Safety first! Know your limitations! No motor vehicles in the wetlands! Wilbur Meadows is available for event lease. Also available for a test track lease. Activities have included a Parade, Wild Goose Chase 3.5 mile race,Coaster Car Races, Chalk drawing contest, Mini Moto Races, Show-N-Shine Car Show, Food & Craft vendors, Lions Club Barbecue in the Park, Museum Presentation, Friends of the Library Used Book Sale, Children’s Fishing Derby, Firemen’s Auction, golf, Golden Garter Music and Dancing & more! on the 3rd Saturday of June with a huge Community Yard Sale. The Friday after Thanksgiving, November 29th Wilbur will hold the annual Christmas Bazaar & Festival of Lights. Local Volunteers and the Chamber put up a dramatic display of Christmas Lights in the Town Park and around town. Food, music, & shopping in the Community Center – 11 am to 7 pm. The Whitestone Winery has a “Tasting Room” at 115 N.E. Main Street – open Fridays from noon to 6 pm, Memorial Day to Labor Day. The Big Bend Historical Museum is located in Wilbur. This is a beautiful Museum in an old church full of local history. Open each Saturday – June, July, & August – 11 am to 2 p.m . For more information call Mary Alice at 509-647-2460. . Additional Information. The Big Bend Golf and Country Club in Wilbur is a beautifully conditioned dual-tee golf course which has plenty of character and is very fun to play. The course plays a total of 6,200 yards from both sets of nine hole tees, but can play much longer depending on wind conditions. Fishing and Hunting opportunities abound in the immediate area. The Keller Ferry Marina and Campgrounds are just a short jaunt north of Wilbur.